We determine the scale factor of a digital micromirror device (DMD) with the use of Bessel beams. The scale factor is the value related to how much a device stretches an image along a certain axis. In this paper, we have uploaded slits of varying scale factor s in the DMD and obtained the diffraction patterns formed by illuminating it. The structural shape and the line scan measurements of the captured images were compared to that of a numerically simulated image. Results show that the beam profiles generated with slits of s = 1.87 ± 0.03 have 5% deviation from the numerically simulated Bessel beam profile. This study is proof-of-principle that structured light can be used as tool for measuring the scale factor of a device. N. A. Zambale, J. P. Narag, and N. Hermosa. 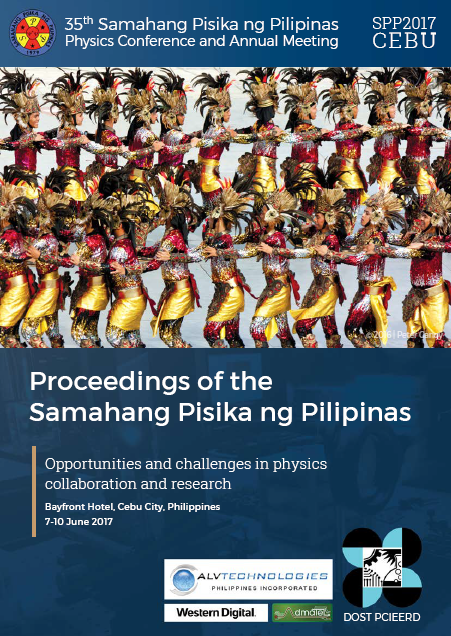 Measuring the scale factor of digital micromirror devices using Bessel beams, Proceedings of the Samahang Pisika ng Pilipinas 35, SPP-2017-PA-17 (2017). URL: https://paperview.spp-online.org/proceedings/article/view/196.